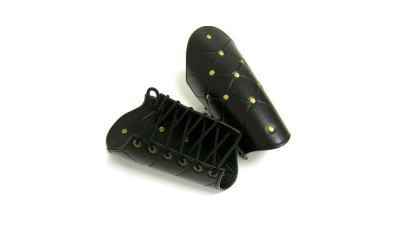 As a young man Lynn C Thompson was already studying and training in a variety of fighting arts. He always dreamed of owning a Katana, but even a lower priced WWII era sword was far too expensive, often costing hundreds and hundreds of dollars! That's why, over 30 years later Lynn created his Katana Machete. Made in our factory in South Africa, it's modern tactical Tanto point is heat treated to a tough spring temper. Sporting a black, baked-on anti-rust finish, it is tough, reliable and almost impervious to the elements. To facilitate one or two-handed use, Lynn paired the blade with a long extra tough injection molded polypropylene handle with a sturdy cross guard. 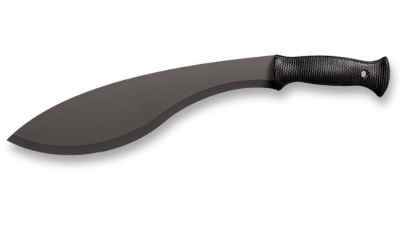 An excellent bushcraft tool, capable machete and superb beginner's Katana, the Katana Machete is equally at home clearing brush in the wilderness and cutting Tatami Mats in your back yard. Now, Lynn has increased the blade length of the Machete to 24"! Packing even more cutting power into this super-affordable modern Katana. 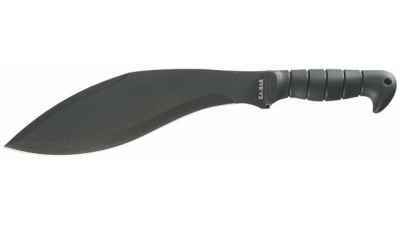 Sharpening Service: This machete comes with an edge suitable for clearing brush. If you wish a finer edge for sword cutting techniques it is recommended to add the Reliks sharpening service.